October 10, 2018 will be a date that farmers and ranchers in the Central Panhandle of Florida will never forget as long as they live. Hurricane Michael landed in Bay County with 155 mph winds (Category 5 = 157 mph), the most powerful winds since Hurricane Andrew in 1992, ripped through a mostly rural area of Florida that received immediate media attention for extensive damage to the coastal communities in Bay County. 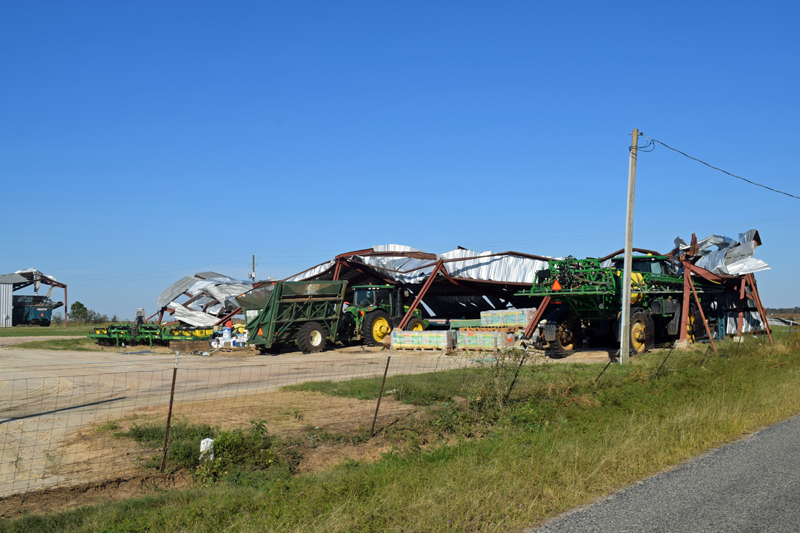 What was not made as known was the extensive damage this storm caused to agricultural operations that are a critical part of the economy of the rural counties along the I-10 corridor and into Southwest Georgia. Typically a hurricane weakens soon after it comes ashore, but this storm had measured wind speeds of 115 mph all the way up into Donalsonville, Georgia. This area of Florida and Southwest Georgia has been spared from major hurricanes since the 1850s, so huge, 50-150 year-old trees were snapped off, twisted, or blown over onto homes, barns, fences, grain bins and other structures. So even structures that could withstand the winds were crushed by huge trees. 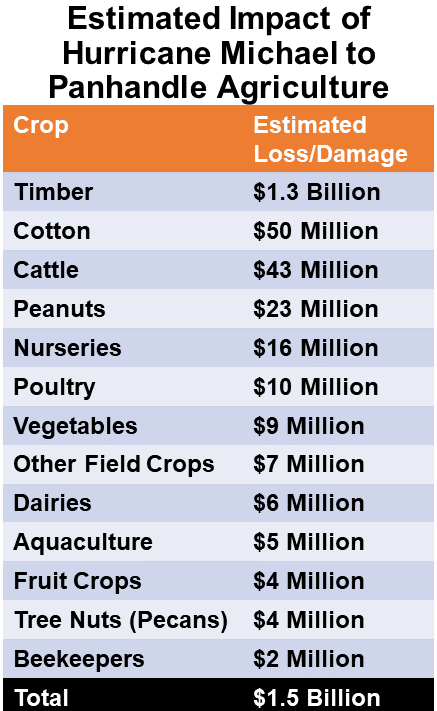 The Florida Department of Agriculture and Consumer Services (FDACS), UF/IFAS Food and Resource Economics Department, Florida Forest Service, and the National Agriculture Statistics Service, and Dr. Sergio Alvarez, University of Central Florida compiled a summary of estimated damages and loses to farms and ranches in the Florida Panhandle due to Hurricane Micheal. Timber is a major industry in this part of the state and took the biggest hit with an estimated $1.3 billion loss. 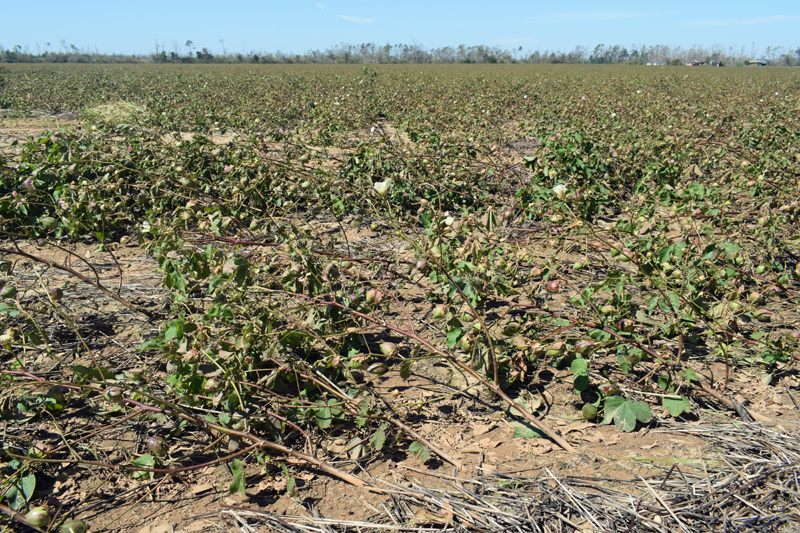 Cotton was virtually unharvested when the storm hit and was mostly destroyed. 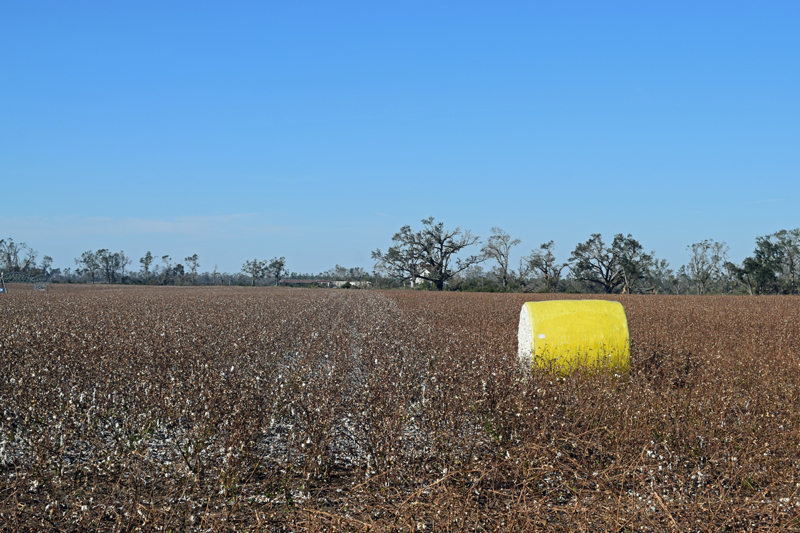 What had promised to be one of the best cotton crops ever, was either blown off the plants, or the whole plant was flattened and will be nearly impossible to harvest. Cattle ranches had miles of fences damage. Many ranches utilized fence rows for pasture shade, but these trees blew over and took fences out leaving gaping holes that could not be repaired without using heavy equipment to remove the downed trees. Volunteers from the Florida Cattlemen’s Association spent three weeks in the area to help local producers get highway fences patched to keep cattle from wandering on to highways. 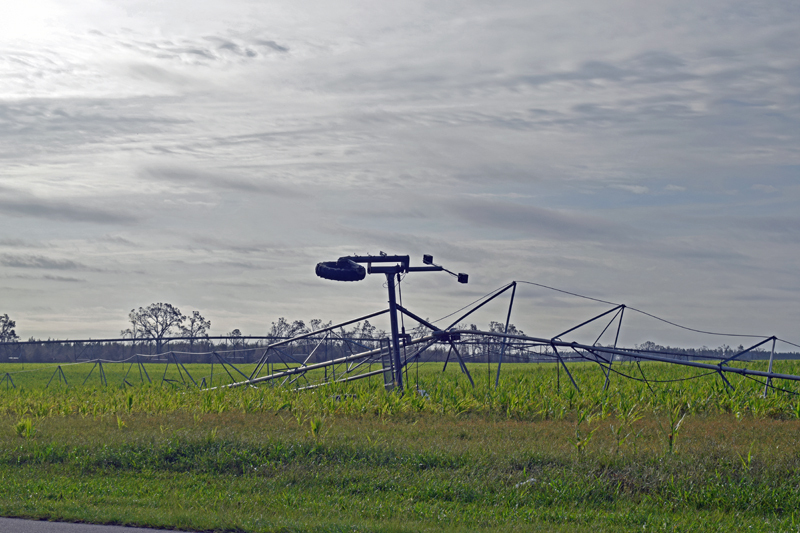 Center pivot irrigation systems, equipment barns, hay barns and grain bins that were not built to withstand category 3 hurricane winds were mangled, damaged or destroyed. These are just a few of the tragic images from a devastating hurricane. 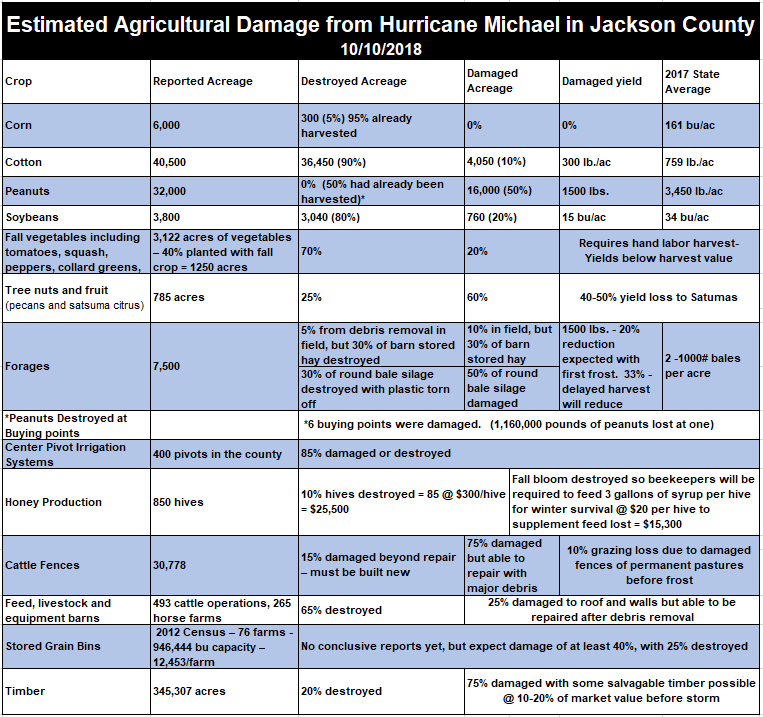 The following chart shares the estimates made by a team of UF/IFAS County Agents who interviewed farmers in Jackson County in October to develop damage estimates to this major agricultural county. In the end it will take months just to get all of the debris pilled up to burn, and years to recover from the lost income, and to repair or replace damaged or destroyed fences, center pivots, barns, and homes lost in a matter of four hours. 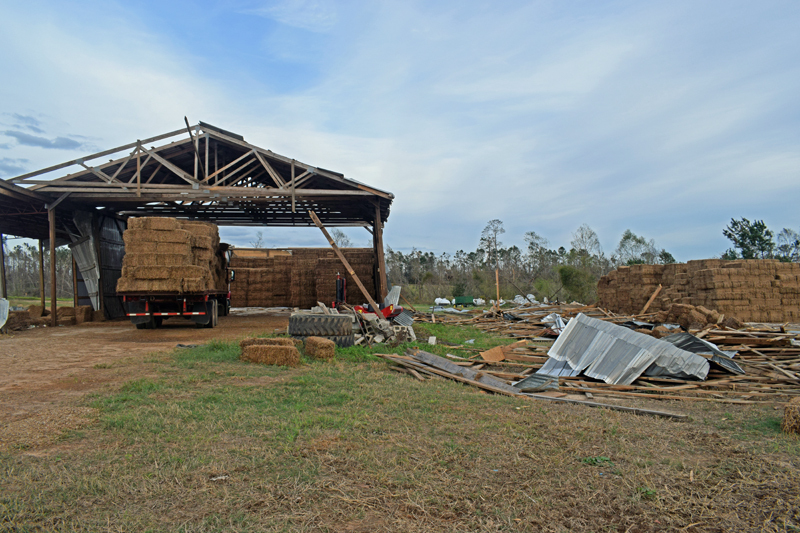 While USDA does have disaster programs to assist with hurricane damaged fences, debris removal, lost livestock, and timber replanting, the only hope for restoring some portion of the lost income needed to keep farm business going is action by Congress similar to the WHIP Program developed for areas impacted by Hurricanes Harvey and Irma. But this previous program did not cover timber losses. 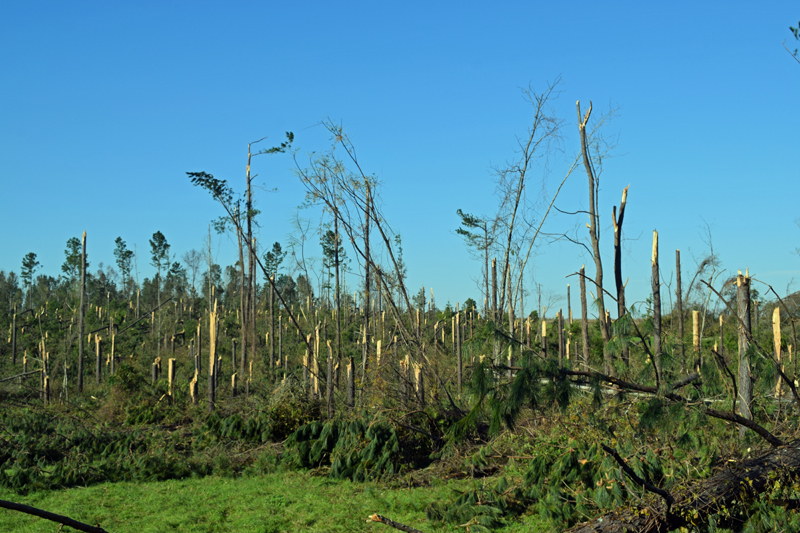 It will be essential for local farmers to utilize agricultural organizations such as Florida Farm Bureau, Florida Cattlemen’s Association and the Florida Forestry Association to work with federal representatives to get help for producers in this region that also includes timber losses. 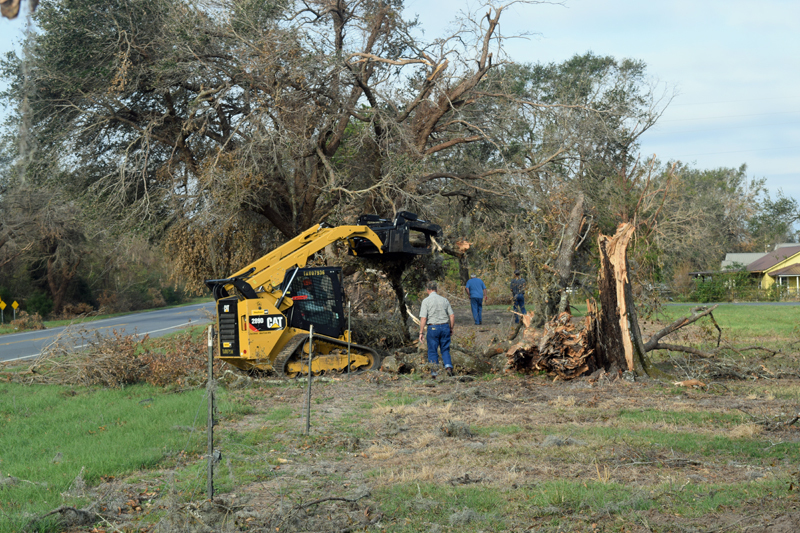 Otherwise many farm businesses in the Panhandle may never fully recover from this devastating storm.